I was very pleased with the Yamaha speaker repair kit recently purchased and the service provided. The directions were very clear and the repair quite easy to complete. My old Yamaha speaker sounds as good as new and repairing it, rather than replacing the speakers, saved a lot of money. 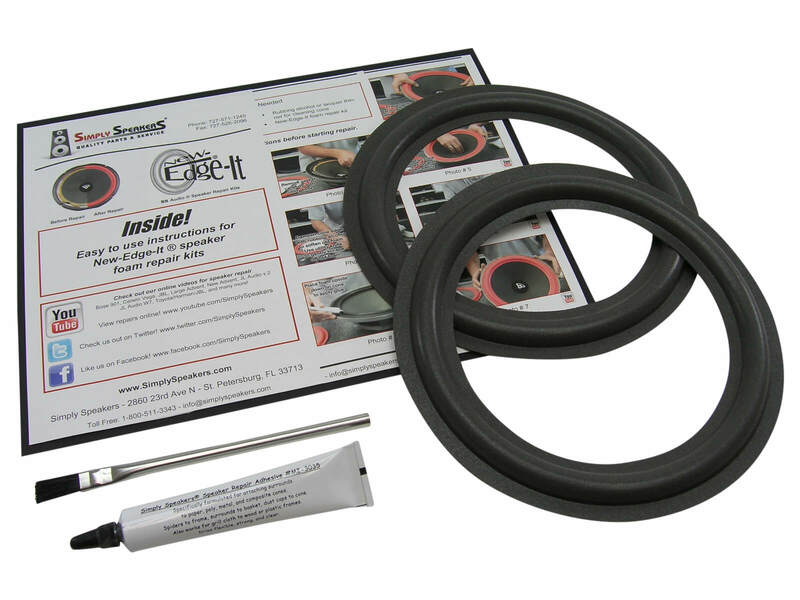 Excellent product, easy to install. It was actually enjoyable to do this repair and have the speaker work as good as new. This kit worked out great ! I needed to replace the rolled foam edge on my Yamaha YST-A750 originally purchased in 1989. The foam had deteriorated so much that it was flaking off and there was almost no connection between the speaker cone and the frame. Great directions, plenty of glue, good product and fantastic service! 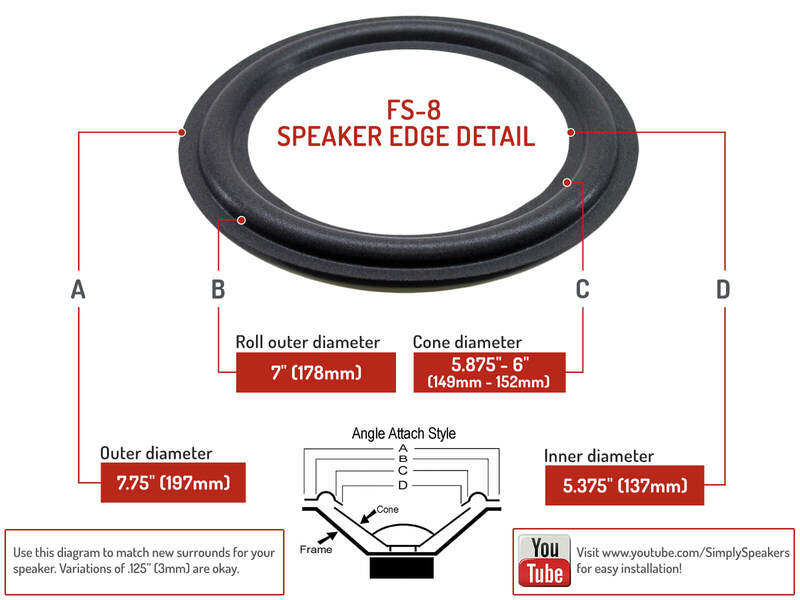 I will buy from Simply Speakers again whenever the need arises. Well Shipping was super fast and the product its very good as I expected it to be. finnally got around to fixing the woofers. evey thing fit right speakers sound great. thanks very satisfied.....JIM. I am very impressed. The instructions were clear and concise,and I had no problems doing the installation. I will definitely reccomend it to anybody wishing to do this. My speakers now sound and looks like new! Watched the video and followed the instructions. The result was a perfect repair that was easy to perform. Most of the time was spent cleaning off the old foam and glue. My "new" speakers sound perfect! Yamaha: AS-108, AS108, HS-80, HS80, JA-2015, JA2015, JA-2063, JA2063, MS-60SE, MS60SE, NS-A2835, NSA2835, NS-A820A, NSA820A, NS-A635A, NSA635A, NSA-3500, NSA3500, NS-4, NS4, NS-655, NS655, NS-80, NS80, NS-A635, NSA635, NS-A820, NSA820, NS-A930, NSA930, NS-A935, NSA935, NS-S34, YST-A755, YSTA755, YST-SW45, YSTSW45, YST-SW120, YSTSW120, YST-SW150, YSTSW150, Stagepas 300, AAX6165R, and many more!